Tequra Analytics enables you to lift the veil on your processes through aggregated analysis of your test data. Using the web dashboard, you can display real-time Six-Sigma quality metrics, report yields, correlate issues against common factors and track product history. View a report on your quality performance at the click of a button. A wide range of metrics are available, including process capability and performance indices such as Cpk and Ppk. Track first-pass and overall yields across your entire manufacturing operation or within a filtered subset. Use your test data to uncover training requirements, equipment faults and potential supplier issues. Build a timeline for your units during their manufacture or repair. Identify where wastes such as extended waiting time or re-working have occurred. Highly flexible connection options enable you to get access to your data in the way you want. With well proven database and web technologies at its core, combined with cloud and on-premise options, Tequra Analytics is a great choice for your organization whatever its size. Securely access your test data and key metrics on the production floor, in the board room, or on the road. Tequra Analytics has a web based user interface which can be accessed via a PC, tablet or smart phone. All you need is a network connection and web browser. Whether you’re already a global company or looking to expand in the future; Tequra Analytics can scale to meet your requirements. No matter if your production is on a single site next-door or multiple sites across the world, you can still get instant access to your data from anywhere. Tequra Analytics provides a great choice for organizations through the cloud and on-premise options. The cloud solution can be up and running quickly, requires minimal initial investment and few infrastructure changes. Alternatively on-premise provides fine control of your data and tight integration with existing IT infrastructure. Access the tools you need to identify, investigate and solve manufacturing issues. With real-time analysis and identification of common issues, you can focus your efforts where they are most needed. In Tequra Analytics measurement trends and spreads are represented in a clear graphical manner, bringing your data to life. By performing Pareto analysis on your test data, a ranked list of the most common test failures can be generated. Armed with this information you can focus your resources into resolving the most common issues first. 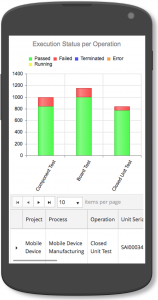 Don’t wait days or weeks to get a snapshot of how your manufacturing processes are performing. Tequra Analytics can process test results as soon as they are generated, enabling you to rapidly respond to issues. Aggregate your test data to generate long and short-term trend plots. Slowly drifting measurements could be an indication of equipment calibration issues, for example, whilst rapid shifts may be due to supplier quality problems. 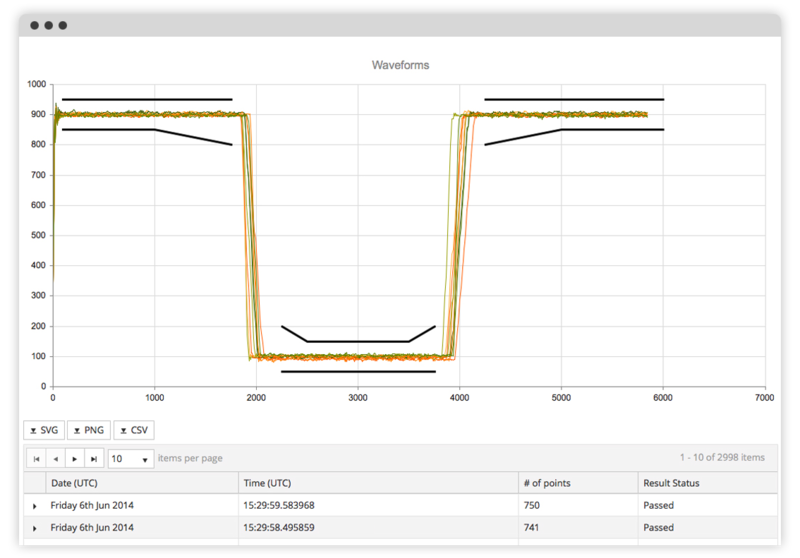 By using the graphical overlay view, you can perform a visual comparison of waveform measurements. 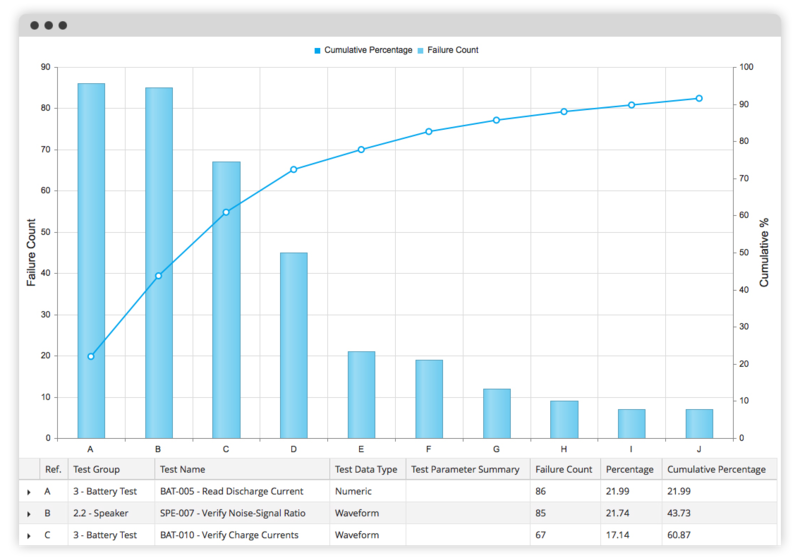 This feature allows you to see how measurements fit within test limits and the spread of results from different test runs. Tequra Analytics is designed to be compatible with the systems and data you have now, as well as those you may create or adopt in the future. With support available for all common data types and development platforms, it can seamlessly integrate into your organization. 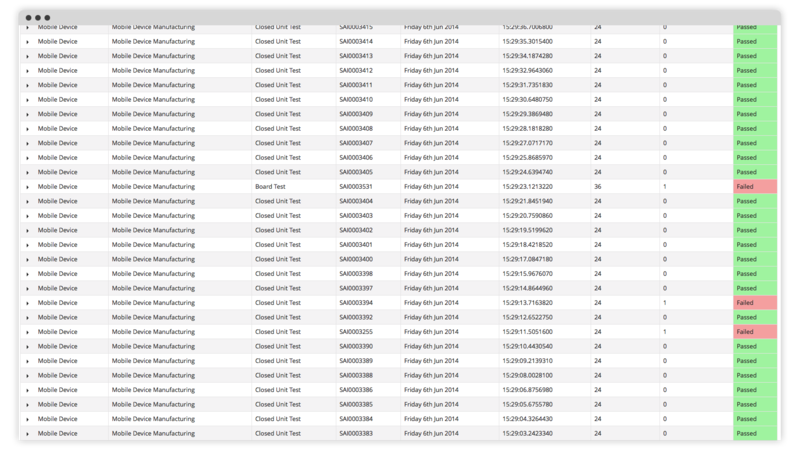 New or existing test result log files can be imported into Tequra Analytics with ease, ensuring you can start getting benefits from it right away. Common test data formats such as CSV or standard TestStand reports are directly supported, whilst a simple importer can be provided for any others. You can integrate your existing code or new project seamlessly into Tequra Analytics, with minimal effort. For LabVIEW users a simple API enables the data transfer. TestStand sequences will typically be able to work without any changes. Flexible programming interfaces for NI LabVIEW, .NET and HTTP Web API enable Tequra Analytics to be integrated with a wide range of solutions, using the language of your choice. If you are looking to integrate with Tequra Analytics, please contact us for more information. Ensure your test data is securely protected and archived by using Tequra Analytics. Designed to run in a high reliability server environment, featuring built-in access control, it is a superior alternative to local storage on production line PCs. Enhanced parameter tracking combined with data archiving ensures you are well equipped to answer any future compliance questions, or field failure investigations. With Tequra Analytics you can ensure your critical test data is brought into a secure centrally managed solution. End your reliance on paper records or unmanaged computer files. Store more than test data in your records. Include details such as test equipment used, operators running tests, ambient temperature during measurements, test software version and any other information you require. Easily control which of your users can access particular data through the management console. Data can be split for different projects, products or customers and different access controls applied. On-premise solutions can connect with existing IT access systems for single-sign-on authentication. In the case of the cloud solution your valuable data is held in a high up-time, multiple redundancy data centre, with regular automated backups. For on-premise systems data can be held on a central server and backed-up along-side your other business critical data.